I love nail polish…a lot! I’m always changing up my nail colour and to do that I need to have a good nail polish remover! I need one that removes all colour and doesn’t dry out my nails. Anything above and beyond that is great! Today, I’m going to be reviewing the Mineral Fusion Nail Polish Remover. I’ve been using this stuff for a few years now, and I wanted to share my thoughts on it with you! I’m going to start off by saying that the Mineral Fusion Nail Polish Remover is by far the best nail polish remover that I’ve ever used! It does such of good job of removing my nail colour — and I only have to use a small amount. I love that it doesn’t dry out my nails or cuticles and it prepares my nails for a new coat of nail polish. I find that this nail polish strengthens my nails, so they don’t chip or break. This nail polish is also cruelty-free and vegan! The only negative things that I can say about this nail polish remover is that it has somewhat of a strong scent, which is to be expected of a nail polish, and it’s somewhat pricier than other nail polish removers. Other than that, this nail polish remover is great! The Mineral Fusion Nail Polish Remover comes in a recyclable plastic container, contains 177 ml of product, and costs approximately $10 CAD — depending on where it’s purchased. 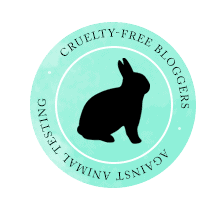 Mineral Fusion is a cruelty-free brand that carries cosmetics, skin care products, body care products, hair care products, and nail care products — basically any beauty item that you can think of! I really love this brand because, like I said, they not only don’t test on animals, they also don’t use any gluten, parabens, talc, artificial colours, synthetic fragrances, SLS, and phthalates. Much of their packaging is made from recycled materials and most of it is also recyclable. Mineral Fusion also uses wind power and soy inks when creating/producing their products. Here are some pros and cons of the Mineral Fusion Nail Polish Remover! I absolutely love the nail polish remover from Mineral Fusion! I will probably never switch to another brand! It’s good quality and it’s cruelty-free! Have you tried the Mineral Fusion Nail Polish Remover?